Nigeria’s telecommunications sector ended year 2018 with 172 million subscribers, with teledensity rising to 123.4 per cent from 105 per cent in January 2018. Telephone density or teledensity is the number of telephone connections for every hundred individuals living within an area. It varies widely across the nations and also between urban and rural areas within a country. Subscribers’ statistics released yesterday by the Nigerian Communications Commission (NCC) showed that service providers including MTN, Globacom, Airtel, 9Mobile, among others got 25.5 million new subscribers in the course of the year. In the same vein, broadband penetration in Nigeria rose from 30.9 per cent in November to 31.5 per cent as at December 31. 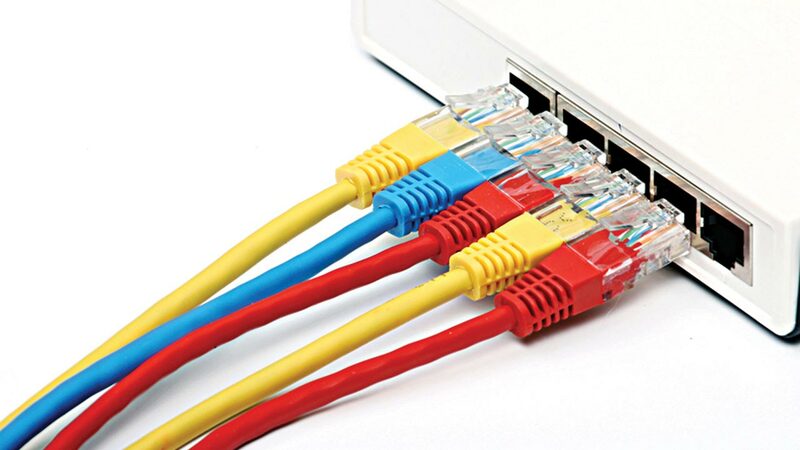 Broadband is wide bandwidth data transmission, which transports multiple signals and traffic types. The medium can be coaxial cable, optical fiber, radio or twisted pair. 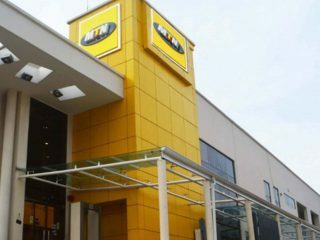 Further analysis of the statistics showed that MTN remained the largest operator in the country with 66.7 million subscribers and 39.7 per cent market share. Globacom is next with 25.6 per cent market share and 43.3 million subscribers. India’s Bharti Airtel, operating as Airtel in Nigeria is third with 43.1 million subscribers and 25.5 per cent market share, while embattled Emerging Market Telecommunications Service (EMTS) trading as 9Mobile finished the year with 9.10 per cent market penetration and serviced 15.4 million subscribers. 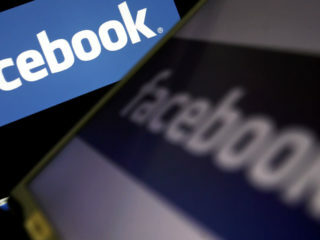 In terms of Internet penetration, the operators jointly added 11.6 million new subscribers in the course of the year, pushing online penetration to 111.6 million from 100 million as at the beginning of last year. MTN had 43.8 million Internet users, followed by Airtel with 29 million; Globacom is third with 28 million and 9Mobile is fourth with 9.9 million subscribers. 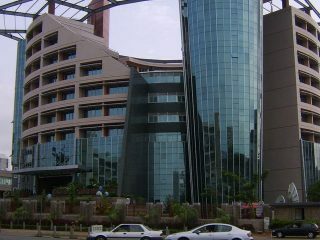 In terms of the penetration of technology employed, the NCC statistics said the GSM technology had penetrated the telecoms market by 99.7 per cent, while the Code Division Multiple Access (CDMA) operator had 0.1 per cent; Voice over Internet Protocol (VoIP) and Fixed Wired/Wireless technology had 0.1 per cent each. In terms of contributions of the sector to the economy, while the last quarter was yet to be upload, the telecoms sector contributed 9.19 per cent in quarter one of 2018; 10.43 per cent in second quarter and possibly due to economic challenges, finished quarter three with a short fall. The third quarter was 8.39 per cent. The telecoms regulator, while making reference to a National Bureau of Statistics (NBS), noted that the contributions of telecommunications and information services to GDP from Q1 – Q3 2018 was N4.7 Trillion. It stressed that in the Q3, 2018 the amount stood at N1.5 Trillion. According to the body, the telecommunications and information services sector grew by 14.7 per cent from Q1, 2017 – Q3, 2018. Meanwhile, for improved services this year, the Association of Licensed Telecommunications Operators of Nigeria (ALTON) has called on Nigerians to support the sector, saying that there are still myriads of challenges confronting operators in the country. ALTON Chairman, Gbenga Adebayo, in a document, claimed that members maintained stable charges in spite of the extremely high cost of providing services in Nigeria. “The narrative has recorded not much change, 18 years on as operators are still left to self-provide power, transmission, security and other supporting infrastructure which are taken for granted in other jurisdictions,” it stated. ALTON said Right of Way (RoW), multiple taxation, vandalisation of infrastructure, accessibility issues and shutting down of telecom infrastructure are rampant in Nigeria. “Our members daily do battle the state and local government agencies who aggressively harass them to pay both legitimate and illegitimate taxes and levies that run to millions naira in some cases. They daily contend with high costs of diesel, frequent theft of equipment, without increasing tariffs. It is on record that the cost of building one similar Base Transceiver Station (BTS) site in Nigeria will build three similar structures in Ghana,” the association added. The association stressed that subscribers pay far less tariffs per minute than they paid five years ago, and data charges have continued to fall over the years due to the easy access to relevant telecoms services. Noting that there is still service quality and ethical concerns in telecoms industry, ALTON said it is working with the regulator and other stakeholders to tackle these concerns in the best interests of subscribers.